Note: These instructions are to set up your email only. 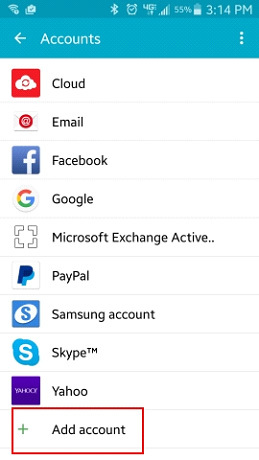 This article was created using a Samsung Galaxy Note 4 running Android 5.0.1—Lollipop. The steps should be similar for other Android devices. 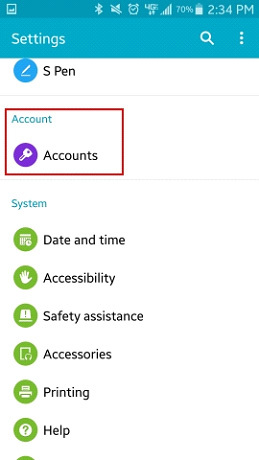 If the instructions are not exact for your device, then we recommend that you use the settings and follow the on screen prompts to set up your device or contact your service provider for assistance. 5. 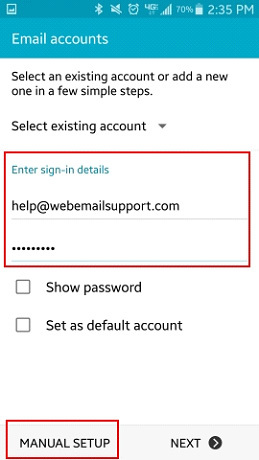 Enter your sign-in details, which is the Email Address of the account you are setting up and the Password for that mailbox. 6. 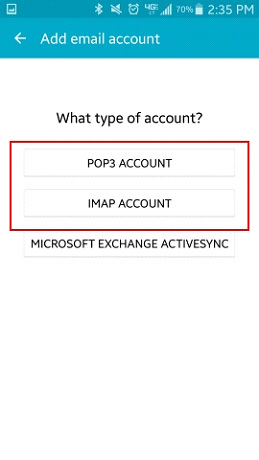 Select the Account type that you would like to create—either POP3 or IMAP. 7. Reference the following table to enter the necessary Incoming server settings and tap Next. Note: The above image assumes an IMAP setup. 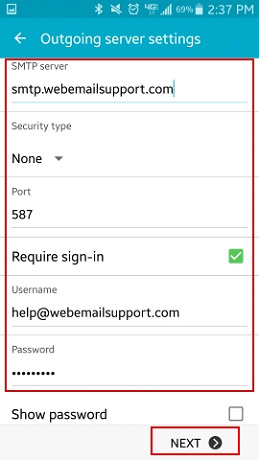 If you are setting up POP3, you will be presented with a different option in place of the IMAP path prefix (see below). 9. 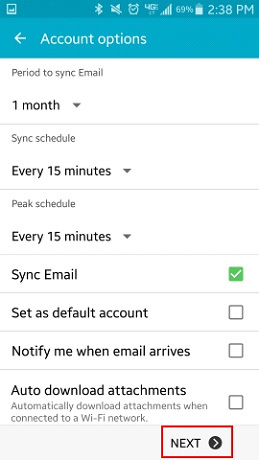 Customize your Account options to your desired settings and tap Next. Tap Next to complete your setup. 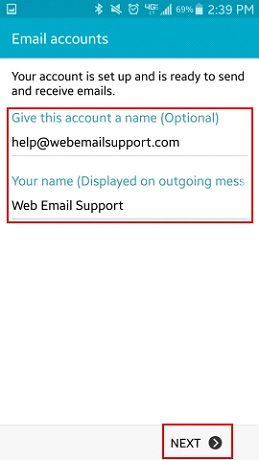 Android FAQs and Troubleshooting How Do I Set Up Email on My Windows Phone? 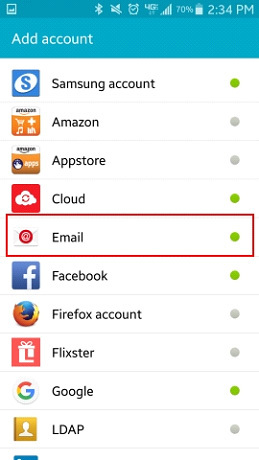 How Do I Set Up My Email on My iPhone, iPad, or Mac?